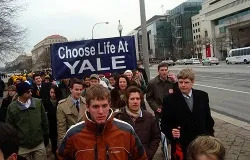 Oct 26, 2013 - 05:02 pm .- At Yale's first annual pro-life conference, advocates emphasized moving beyond current pro-life efforts to more directly address the issues and understandings of persons who dot see the dignity of all human life. 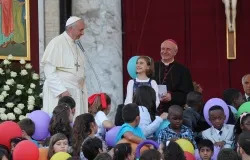 Oct 26, 2013 - 03:31 pm .- Pope Francis met with families from around the world today in a celebration of the joy of family life, telling them that the sacraments provide real grace to aid in the challenges everyone faces. 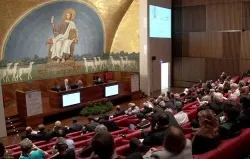 Oct 26, 2013 - 11:21 am .- At the conclusion of an international symposium in Rome, Pope Francis granted the prestigious "Joseph Ratzinger award" to two professors for their exemplary scholarship in theology. 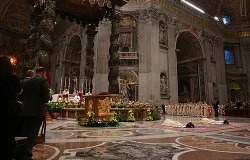 Oct 26, 2013 - 07:30 am .- At a Mass on Thursday at Saint Peter's Basilica, Pope Francis consecrated two men as bishops and exhorted them to be faithful to Christ, for he reaches men through their ministry.